Baltimore County police shot and killed a man who they said threatened officers with a knife and refused to drop it even after being shocked with a Taser outside a Randallstown convenience store early Saturday. 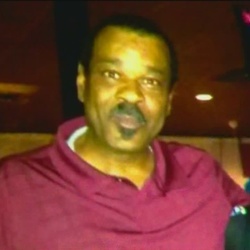 Police identified the man as Edward Donnell Bright Sr., 56, of the 9900 block of Southall Road in Randallstown. Attempts to reach Bright's family Saturday were unsuccessful. Officers were called just after 2 a.m. to the 7-Eleven in the 9800 block of Liberty Road for a report of a man with a knife, police said. The two officers saw Bright holding the knife outside the store and ordered him to drop it, police said. He refused to do so, and instead approached the officers with the knife, prompting one of the officers to use a Taser on him, police said. When Bright continued to approach, both officers shot him, police said.